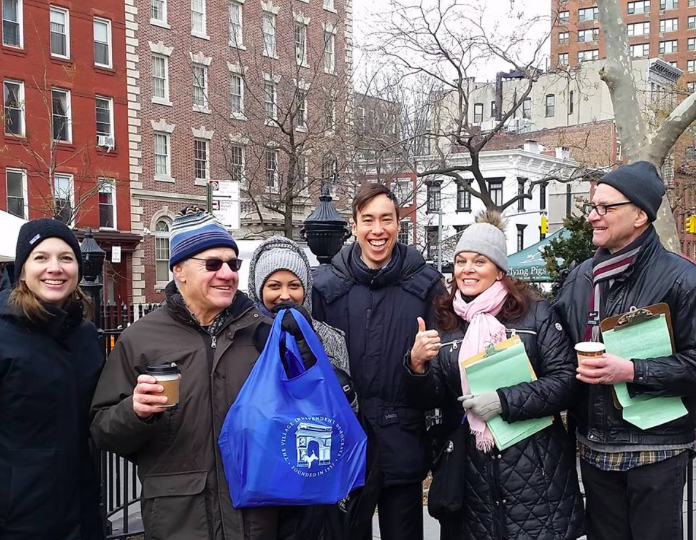 Benjamin Yee with campaign volunteers during his petitioning to get on the ballot for the February 26th special election. In theory, everyone likes the notion of opening up the political process. When people take advantage of that opening, however, that principle of openness clashes with our other notions about what politics is supposed to look like. 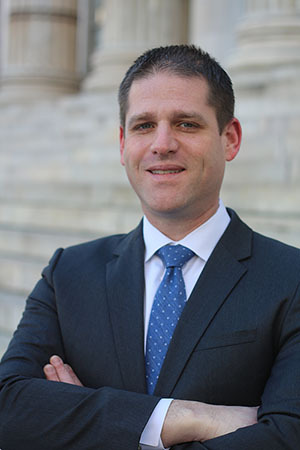 There is abundant political experience in the race in the form of three Assemblymembers, four City Councilmembers and a former Council speaker. The rest of the field could be considered outsiders. But there’s “outside” as in out the parking lot—like the candidate who is a well-connected attorney, or the other who is a high-profile progressive activist who’s getting some Hollywood money for the race—and then there’s “outside” like outside in the woods next to the highway. Metaphorically speaking, that’s where one would find the men who joined WBAI’s Max & Murphy on Wednesday: activist Benjamin Yee and attorney Jared Rich. Both are first-time candidates for public office. Neither has much campaign money on hand, Yee having raised and spent a modest amount, Rich having barely fundraised. The first official debate for the office next Wednesday will feature neither man because they didn’t have the cash to qualify. If you’re committed enough to voting to schlep out to the polls on a Tuesday in February, that suggests you believe fairly strongly in democracy. And if that is the case, then both these 15-minute interviews are worth a listen—especially because you won’t hear Yee or Rich at the debate next week, and won’t hear very much of them at the second debate, on February 20, when it will be a struggle to get seats for everyone, let alone mic time. Listen to the full show to hear Max and I break down the Amazon hearing, Corey Johnson’s mayoral exploration’s and Bill de Blasio’s presidential non-self-elimination. Get Your Public Advocate Special Election Voters’ Guide! Do your homework on the 16 candidates running in the February 26 election to be the No. 2 citywide official.